Out of the Quicksand: Horror in the Moonlight, and a Bill Everett mystery. Horror in the Moonlight, and a Bill Everett mystery. 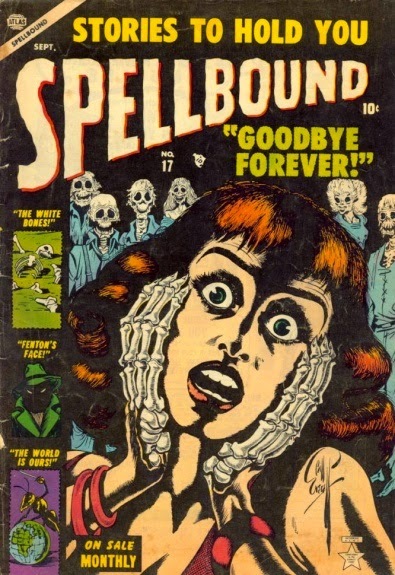 The colors are different, but that’s the same girl from Bill Everett's cover for Spellbound #17! 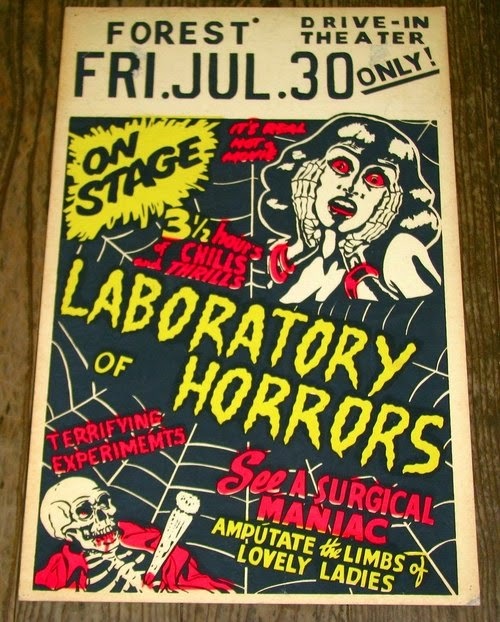 I'm pretty sure I've seen that staked skeleton somewhere too. I doubt there was ever any legal action (Would Martin Goodman have even cared? ), but it’s odd just the same. Still, it’s nice to see someone was appreciating Everett outside of comics fandom. I'd love to know what year it was from, presumably the 60's. Anyway, here’s “Horror in the Moonlight” from Marvel Tales #108, a brief, 3-page dialogueless story that perfectly encapsulates the kind of cartoony-spooky quality I was talking about. All © Marvel. Most old-timey horror comics don't really do it for me (except in a sense of cheesy, fun entertainment), but this one's a bit different. The 3X3 layout in an age that predates Alan Moore, coupled with the scarcity of words, make it feel distinctively... well, if not scary, then certainly disturbing. Oh yeah, the silence would cause this to be downright disturbing in the hands of someone like Bernie Krigstein or Graham Ingels. I've heard that Moore had Gibbons pattern the 9-panel grid off of Ditko, but who knows where Ditko got it from? Ditko's artistic influences are among the many things he's kept silent about. 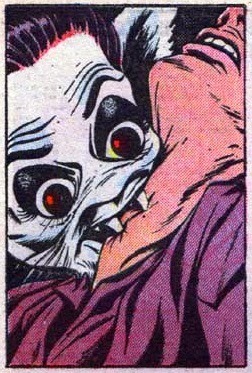 Ditko was influenced by Chester Gould and especially Jerry Robinson. Everett's many styles are all killer. The Question Vs. The Diver of Death!